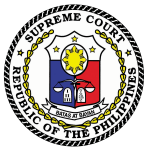 Thus held the Supreme Court as it ordered the acquittal of a man who was convicted for illegal sale of dangerous drugs under Article II, Section 5 of RA 9165, or the Comprehensive Dangerous Drugs Act of 2001, in 2012 by the Manila Regional Trial Court, which conviction was later upheld by the Court of Appeals (CA) in 2015. In a 15-page decision penned by Justice Marvic M.V.F. Leonen, the Court’s Third Division, reversing and setting aside the April 20, 2015 decision of the CA, acquitted Lahmodim Ameril y Abdul for failure of prosecution to prove his guilt beyond reasonable doubt. The Court ordered Ameril’s immediate release from detention, unless he is confined for some other lawful cause. The High Court noted that while the Information alleged that Ameril was caught selling 3 transparent plastic sachets containing shabu marked “LAA,” “LAA-2,” and “LAA,” the evidence presented during trial showed he sold three plastic sachets with the markings “LLA-1,” “LLA-2,” and “LLA.” The Court that this raises doubts if the items presented in the trial court were the exact ones taken from accused-appellant. The Court also held that the compromise of the integrity of the corpus delicti was further magnified by the gap in the chain of custody as the testimony of the National Bureau of Investigation agent who seized the sachets of shabu showed he merely submitted the same to the Forensic Chemistry Division for examination and safekeeping and did not identify the person to whom he gave the seized illegal drugs upon delivery. The Court thus concluded that the totality of the evidence presented shows that the arresting officers who conducted the buy-bust operation were remiss in the performance of their official functions. They made discrepancies in the markings of the seized illegal drugs, and failed to comply with the chain of custody. Consequently, the Court held that the presumption of regularity in favour of arresting officers was negated.